The Christmas Craft Show begins on Monday, November 28 and runs through Sunday, December 4. This event is an excellent place to shop if you’re looking for one-of-a-kind items to bring the Christmas spirit to your home or office. 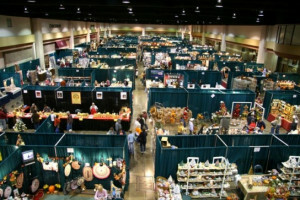 The Thanksgiving Craft Show carries items with a fall and harvest feel, but prepare for a rapid change as this show gives way to the Christmas event, and artisans bring out their Christmas offerings. If you’re in town for both shows, check out the difference. Because the two craft shows are held back to back as fall turns into the holiday season, many people see this as a transition between the seasons. 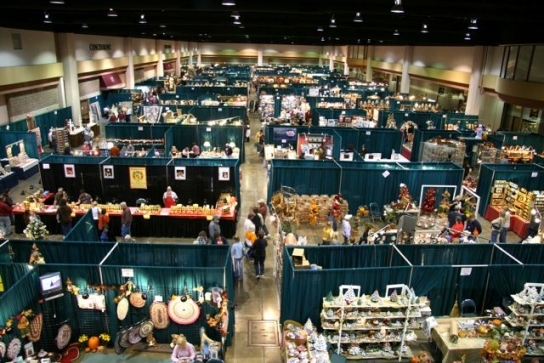 While the Thanksgiving show captures more of the beauty of “fall in the Smokies” and the Christmas show is focused more on holiday cheer, shoppers can discover plenty to love at both events. The quality and originality of the crafts at both shows are outstanding. In addition to the opportunity to purchase treasures – or even to commission something totally custom and unique – you’ll find the chance to mingle with the artists themselves, watching them at work as they chat and share the lore and process behind the crafts. Gatlinburg, Tennessee is known for its independent arts and crafts scene all year round, and is home to the largest community of independent artisans in the country. The holiday shows are one of the times when many of these great artists come in from their studios and shops to present their best wares all in one venue. It’s a great opportunity for locals and visitors alike to explore the beauty and craftsmanship – and there’s always something new to discover. For more information see the Great Smoky Arts & Crafts Community website.